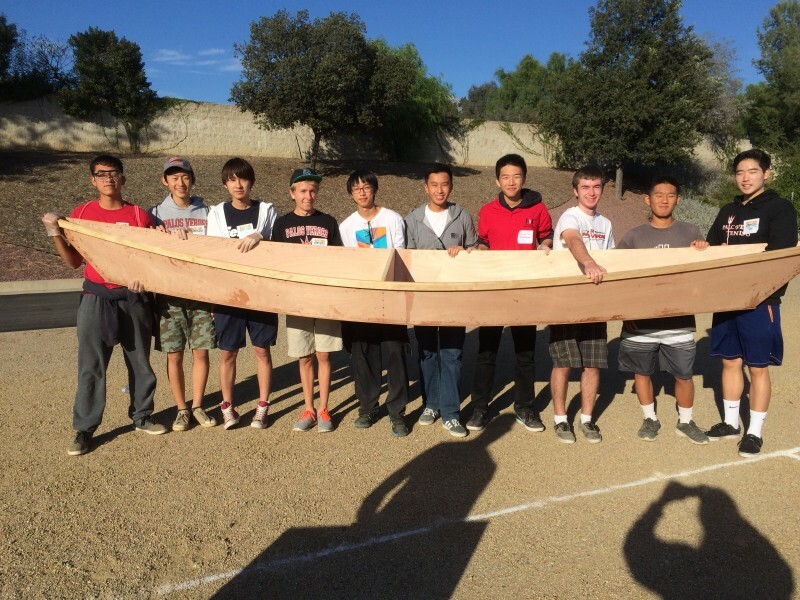 The PVIT Solar Cup team spent the day at the Metropolitan Water District building the hull of their solar-powered boat. The team showed AMAZING teamwork, focus, and motivation. Congratulations on a great, highly productive, and fun day!! Pictured left to right: Yang (Sean) Xu (team lead), Tristan Jai (team lead), Edward Jeon, Noah Mitchell, ZhongYao (Seven) Li, Zhao Yang (Andrew) Xie, Jiahao (Julian) Tan, Tim Morton (team lead), Ethan Kim, and Joseph Moon.